When I travel I hate looking like a tourist. Unfortunately, for our upcoming trip to Asia I don't think there's anyway around that. But I came up with one way to help prevent me from looking like such a lost tourist. 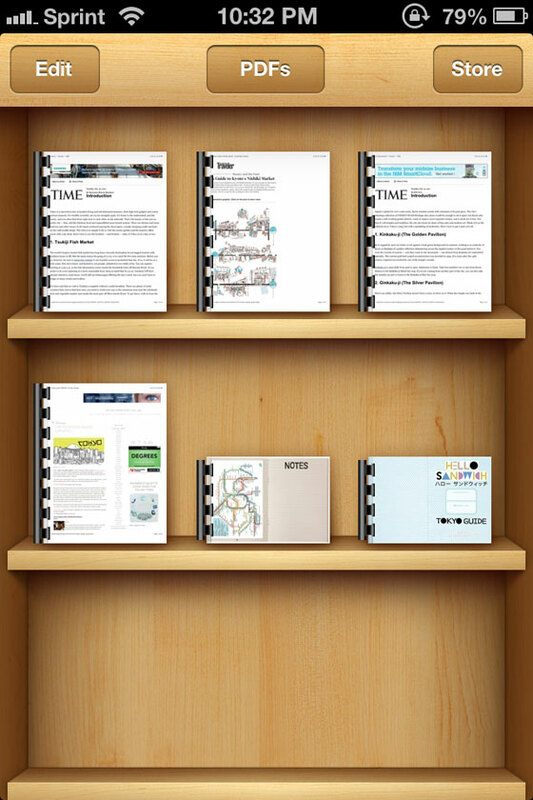 I recently discovered that iPhones allow you to save PDFs to your bookshelf app. So I've been converting the cool travel blog posts or articles to PDFs so I can easily read them on the go. When you have your article, save it as a PDF (Print > PDF > Save to PDF). *Note when you save the PDF name it something short and sweet that you will easily be able to access in your bookshelf later. Then email it to yourself. In your email (on your phone) click on the arrow at the top right of your screen and select Open in iBooks. Once its opened in iBooks it will sit on your bookshelf happily until you try to access it on a crowded street. Not looking like a tourist. At all.